2014 (MMXIV) is the current year, and is a common year starting on Wednesday of the Gregorian calendar(dominical letter E), the 2014th year of the Common Era (CE) and Anno Domini (AD) designations, the 14th year of the 3rd millennium, the 14th year of the 21st century, and the 5th year of the 2010s decade. International Year of Family Farming and Crystallography. International Year of Solidarity with the Palestinian People. The eCampus University, often simply abbreviated as “Uniecampus” is a private university founded in 2006 in Novedrate, Italy. The University of Mississippi is a public, coeducational research university in Oxford, Mississippi, United States. California State Polytechnic University, Pomona is a public polytechnic university located in Pomona, California, United States. Indiana University Bloomington is a public research university located in Bloomington, Indiana, United States. The University of Connecticut is a public research university in the U.S. state of Connecticut. The Pennsylvania State University is a public, state-related research university with campuses and facilities throughout Pennsylvania. Stephen Wolfram is a scientist and technologist known for his contributions to theoretical physics, for his pioneering. Haruko Obokata is a Japanese stem-cell biologist and the Research Unit Leader of the Laboratory for Cellular Reprogramming. Stephen William Hawking CH CBE FRS FRSA is an English theoretical physicist, cosmologist, author and Director of Research. Mary Anning was a British fossil collector, dealer, and palaeontologist who became known around the world for important. Percy Lavon Julian was an American research chemist and a pioneer in the chemical synthesis of medicinal drugs from plants. John Eleuthère du Pont was a convicted murderer, an American multimillionaire, and member of the prominent du Pont family. Peter Ware Higgs CH FRS FRSE is a British theoretical physicist, Nobel Prize laureate and emeritus professor at the. Jonas Edward Salk was an American medical researcher and virologist. He discovered and developed the first successful. Dian Fossey was an American zoologist, primatologist, and anthropologist who undertook an extensive study of gorilla groups. Arnold Alois Schwarzenegger is an Austrian-born American actor, filmmaker, activist, businessman, investor, writer,. Christopher James “Chris” Christie is the 55th Governor of New Jersey and a leading member of the Republican Party. James Richard “Rick” Perry is an American politician who is the 47th and current Governor of Texas. James George Janos, better known by his stage name, Jesse Ventura, is an American politician, actor, author, naval veteran..
Andrew Mark Cuomo is an American politician who is the 56th and current Governor of New York. Scott Kevin Walker is an American Republican Party politician who is the 45th Governor of Wisconsin. Richard Lynn “Rick” Scott is an American businessman and politician who has been the 45th Governor of Florida since 2011. John Ellis “Jeb” Bush served as the 43rd Governor of Florida from 1999 to 2007. He is the second son of former President George H.
Robert Francis “Bob” McDonnell is a former American politician. He was the 71st Governor of Virginia. Edmund Gerald “Jerry” Brown, Jr. is an American politician who currently serves as the 39th Governor of California since..
Charles Joseph “Charlie” Crist, Jr. is an American attorney and politician who served as the 44th Governor of Florida from 2007 to 2011. Michael Dale “Mike” Huckabee is an American politician who served as the 44th Governor of Arkansas..
Kathleen Sebelius is an American politician who served as the 21st United States Secretary of Health and Human Services. Piyush “Bobby” Jindal is an American politician who is the 55th and current Governor of Louisiana and the Vice Chairman. George Corley Wallace, Jr. was an American politician and the 45th Governor of Alabama, having served two nonconsecutive..
Patrick Joseph “Pat” Quinn III is an American politician who is the 41st and current Governor of Illinois. Mark Robert Warner is an American politician and the senior United States Senator from Virginia, in office since 2009. Janice Kay “Jan” Brewer is the 22nd Governor of the U.S. state of Arizona, in office since 2009. Huey Pierce Long, Jr., nicknamed The Kingfish, was an American politician who served as the 40th Governor of Louisiana. Thomas Wingett “Tom” Corbett, Jr. is an American politician who is the 46th and current Governor of Pennsylvania. Nigeria, officially the Federal Republic of Nigeria, is a federal constitutional republic comprising 36 states and its..
Indonesia, officially the Republic of Indonesia, is a sovereign state in Southeast Asia and Oceania..
Iraq, officially the Republic of Iraq, is a country in Western Asia that borders Turkey to the north, Iran to the east,. Hong Kong, alternatively known as H.K. in short form, officially known as Hong Kong Special Administrative Region of the. Qatar, officially the State of Qatar, is a sovereign Arab country located in Western Asia, occupying the small Qatar. Israel, officially the State of Israel, is a country in Western Asia, situated at the southeastern shore of the Mediterranean Sea..
Bermuda, also referred to in legal documents as the Bermudas or Somers Isles, is a British Overseas Territory in the North. Palestine is a geographic region in Western Asia between the Mediterranean Sea and the Jordan River. Sochi is a city in Krasnodar Krai, Russia, located on the Black Sea coast near the border between Georgia/Abkhazia and Russia..
Sonoma is a historically significant city in Sonoma Valley, Sonoma County, California, United States, surrounding its. Manchester is a city in Greater Manchester with a population of 514,417 in 2013; it lies within the United Kingdom’s second..
Kansas City or K.C. is the most populous municipality in the U.S. state of Missouri. Saint Paul is the capital and second-most populous city of the state of Minnesota. As of 2013, the city’s estimated population was 294,873..
Duke Energy, headquartered in Charlotte, North Carolina, is the largest electric power holding company in the United States..
Consolidated Edison, Inc., commonly known as Con Edison or Con Ed, is one of the largest investor-owned energy companies..
Wells Fargo & Company is an American multinational banking and financial services holding company which is headquartered..
JPMorgan Chase Bank, N.A., doing business as Chase, is a national bank that constitutes the consumer and commercial banking..
Capital One Financial Corporation is a U.S.-based bank holding company specializing in credit cards, home loans, auto.. The American Express Company, also known as Amex, is an American multinational financial services corporation headquartered. Citibank is the consumer division of financial services multinational Citigroup. PNC Financial Services Group, Inc. is an American financial services corporation, with assets of approximately $271.2 billion. The United Services Automobile Association is a Texas-based Fortune 500 diversified financial services group of companies. State Farm is a group of insurance and financial services companies in the United States. The company also has operations in Canada. Amazon.com, Inc. is an American international electronic commerce company with headquarters in Seattle, Washington, United States. Wal-Mart Stores, Inc., branded as Walmart, is an American multinational retail corporation that operates chains of large. Target Corporation is an American retailing company, founded in 1902 and headquartered in Minneapolis, Minnesota. The Home Depot is an American retailer of home improvement and construction products and services. Best Buy Co., Inc. is an American multinational consumer electronics corporation headquartered in Richfield, Minnesota,. Lowe’s is an American chain of retail home improvement and appliance stores that has retail stores in the United States,. Costco Wholesale Corporation is an American membership-only warehouse club that provides a wide selection of merchandise. The Walgreen Company is the largest drug retailing chain in the United States. As of May 31, 2014, the company operated. C. Penney Company Inc., known as JCPenney, is a chain of American mid-range department stores based in Plano, Texas..
Advil is a brand of ibuprofen, a nonsteroidal anti-inflammatory drug. Advil is manufactured by Pfizer and has been on the market since 1984. Tylenol is an American brand of drugs advertised for reducing pain, reducing fever, and relieving the symptoms of allergies. Triamcinolone acetonide is a synthetic corticosteroid used to treat various skin conditions, to relieve the discomfort of. Adderall is a psychostimulant pharmaceutical drug of the phenethylamine class used in the treatment of attention deficit. Cortisone is a 21-carbon steroid hormone. It is one of the main hormones released by the adrenal gland in response to stress..
Tums is an antacid made of sucrose and calcium carbonate manufactured by GlaxoSmithKline in St. Louis, Missouri, USA. Gabapentin is an anticonvulsant and analgesic drug. It was originally developed to treat epilepsy, and is currently also..
Triamcinolone is a long-acting synthetic corticosteroid given orally, by injection, by inhalation, or as a topical ointment or cream. Insulin is a peptide hormone produced by beta cells in the pancreas. It regulates the metabolism of carbohydrates and fats. A pig is any of the animals in the genus Sus, within the Suidae family of even-toed ungulates. Bears are mammals of the family Ursidae. Bears are classified as caniforms, or doglike carnivorans, with the pinnipeds. Apes are a branch of Old World tailless anthropoid catarrhine primates native to Africa and Southeast Asia and distinguished. A pony is a small horse. Depending on context, a pony may be a horse that is under an approximate or exact height at the. Eagle is a common name for many large birds of prey of the family Accipitridae; it belongs to several groups of genera. The lion is one of the five big cats in the genus Panthera and a member of the family Felidae. The turkey is a large bird in the genus Meleagris, which is native to the Americas. Dolphins are cetacean mammals closely related to whales and porpoises. There are almost forty species of dolphin in 17 genera. Duck is the common name for a large number of species in the Anatidae family of birds, which also includes swans and geese. Bison are large, even-toed ungulates in the genus Bison within the subfamily Bovinae. Two extant and four extinct species are recognized. Hydrogen is a chemical element with chemical symbol H and atomic number 1. With an atomic weight of 1.00794 u, hydrogen. Silicon is a chemical element with symbol Si and atomic number 14. It is a tetravalent metalloid, less reactive than its. Lithium is a chemical element with symbol Li and atomic number 3. It is a soft, silver-white metal belonging to the alkali. Iron is a chemical element with symbol Fe and atomic number 26. It is a metal in the first transition series. Carbon is a chemical element with symbol C and atomic number 6. As a member of group 14 on the periodic table, it is. Gold is a chemical element with symbol Au and atomic number 79. It is a bright yellow dense, soft, malleable and ductile metal. Sodium is a chemical element with symbol Na and atomic number 11. It is a soft, silver-white, highly reactive metal and. Krypton is a chemical element with symbol Kr and atomic number 36. It is a member of group 18 elements. Thorium is a chemical element with symbol Th and atomic number 90. A radioactive actinide metal, thorium is one of only. The Moon is Earth’s only natural satellite. Although not the largest natural satellite in the Solar System, it is, among. Comet Churyumov–Gerasimenko, officially designated 67P/Churyumov–Gerasimenko and sometimes shortened to 67P/C-G, is a.
Ceres is the largest object in the asteroid belt, which lies between the orbits of Mars and Jupiter. Neptune is the eighth and farthest planet from the Sun in the Solar System. It is the fourth-largest planet by diameter. Europa, is the sixth-closest moon of the planet Jupiter, and the smallest of its four Galilean satellites, but still the. Alpha Lupi is the brightest star in the southern constellation of Lupus. According to the Bortle Dark-Sky Scale, the. Mars is the fourth planet from the Sun and the second smallest planet in the Solar System, after Mercury. Pluto is the largest object in the Kuiper belt, and the tenth-most-massive body observed directly orbiting the Sun. Venus is the second planet from the Sun, orbiting it every 224.7 Earth days. It has no natural satellite. January 1 – Latvia officially adopts the Euro as its currency and becomes the 18th member of the Eurozone. 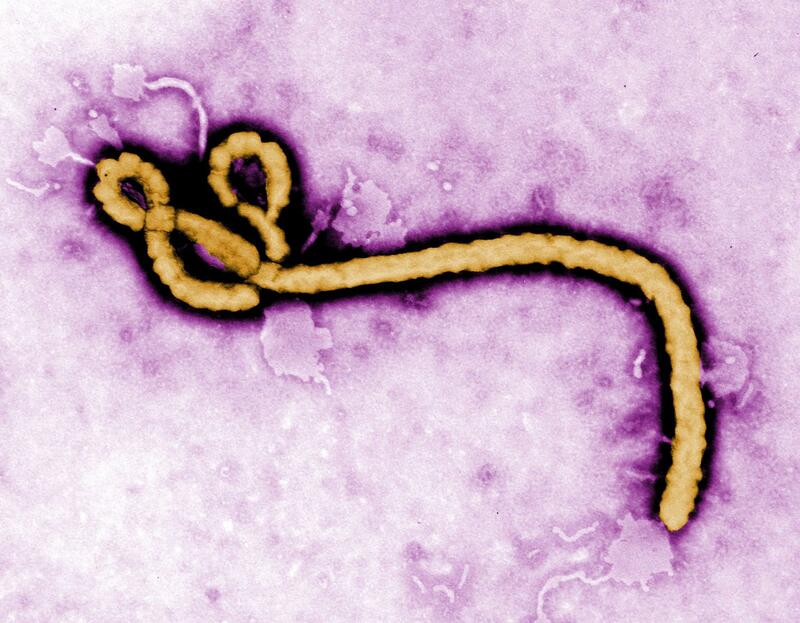 February–ongoing – The Ebola virus epidemic in West Africa begins, infecting over 19,000 people and killing at least 7,000 people, the most severe both in terms of numbers of infections and casualties. February 7–23 – The XXII Olympic Winter Games are held in Sochi, Russia. February 13 – Belgium becomes the first country in the world to legalise euthanasia for terminally ill patients of any age. February 22 – The Ukrainian parliament votes to remove President Viktor Yanukovych from office, replacing him with Oleksandr Turchynov, after days of civil unrest left around 100 people dead in Kiev. February 26–ongoing – The pro-Russian unrest in Ukraine leads to the annexation of Crimea by the Russian Federation and an insurgency in the Donetsk and Luhansk oblasts. March 8:Malaysia Airlines Flight 370. March 5 – Nicolás Maduro, the President of Venezuela, severs diplomatic and political ties with Panama, accusing Panama of being involved in a conspiracy against the Venezuelan government. March 8 – Malaysia Airlines Flight 370, a Boeing 777 airliner en route to Beijing from Kuala Lumpur, disappears over the Gulf of Thailand with 239 people on board. The aircraft is presumed to have crashed into the Indian Ocean. March 16 – A referendum on the status of Crimea is held. March 21 – Russia formally annexes Crimea after President Vladimir Putin signed a bill finalizing the annexation process. March 24 – During an emergency meeting, the United Kingdom, the United States, Italy, Germany, France,Japan, and Canada temporarily suspend Russia from the G8. March 27 – The United Nations General Assembly passes Resolution 68/262, recognizing Crimea within Ukraine’s international borders and rejecting the validity of the 2014 Crimean referendum. March 31 – The United Nations International Court of Justice rules that Japan‘s Antarctic whaling program is not scientific but commercial and forbids grants of further permits. April 10 – In response to the 2014 Crimean crisis, the Parliamentary Assembly of the Council of Europe (PACE) passes a resolution to temporarily strip Russia of its voting rights; its rights to be represented in the Bureau of the Assembly, the PACE Presidential Committee, and the PACE Standing Committee; and its right to participate in election-observation missions. April 14 – An estimated 276 girls and women are abducted and held hostage from a school in Nigeria. April 16 – Korean ferry MV Sewol capsizes and sinks after an unmanageable cargo shift, killing more than 290 people, mostly high school students. April 27 – The Catholic Church simultaneously canonizes Popes John XXIII and John Paul II. April 28 – United States President Barack Obama‘s new economic sanctions against Russia go into effect, targeting companies and individuals close to Russian President Vladimir Putin. The World Health Organization identifies the spread of poliomyelitis in at least 10 countries as a major worldwide health emergency. Boko Haram militants kill approximately 300 people in a night attack on Gamboru Ngala. May 20 – Terrorists in Nigeria detonate bombs at Jos, killing 118 people. May 22 – The Royal Thai Army overthrows the caretaker government of Niwatthamrong Boonsongpaisan after a failure to resolve the political unrest in Thailand. 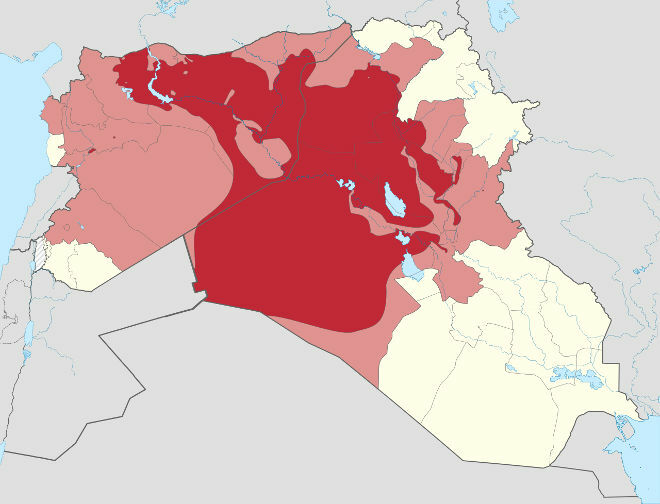 June 5–ongoing – A Sunni militant group called the Islamic State in Iraq and the Levant (also known as the ISIS or ISIL) begins an offensive through northern Iraq, aiming to capture the Iraqi capital city of Baghdad and overthrowthe Shiite government led by Prime Minister Nouri al-Maliki. June 12 – July 13 – The 2014 FIFA World Cup is held in Brazil, and is won by Germany. June 19 – King Juan Carlos I of Spain abdicates in favor of his son, who ascends the Spanish throne as King Felipe VI. July 8–August 26 – Amid growing tensions between Israel and Hamas following the kidnapping and murder of three Israeli teenagers in June and the revenge killing of a Palestinian teenager in July, Israel launches Operation Protective Edge on the Palestinian Gaza Strip starting with numerous missile strikes, followed by a ground invasion a week later. In 7 weeks of fighting, 2,100 Palestinians and 71 Israelis are killed. After a five-hour humanitarian ceasefire, Israel confirms the beginning of a ground offensive in Gaza. Malaysia Airlines Flight 17 (Boeing 777) crashes in Ukraine, after being shot down by a missile. 298 people die, including 15 crew members. July 21 – The United Nations Security Council adopts Resolution 2166 in response to the shootdown of Malaysia Airlines Flight 17. July 24 – Air Algérie Flight 5017 crashes in Mali, killing all 116 people on board. August 7 – Khmer Rouge leaders Nuon Chea and Khieu Samphan are found guilty of crimes against humanity and are sentenced to life imprisonment by the Khmer Rouge Tribunal. August 8 – The United States military begins an air campaign in northern Iraq to stem the influx of ISIS militants. September 22 – The United States and several Arab partners begin their airstrike campaign in Syria. September 26 – The 2014 World Summit of Nobel Peace Laureates, to be held in Cape Town from 13 to 15 October, is suspended after a boycott of Nobel Laureates to protest the third time refusal of a visa to the 14th Dalai Lama by a South African Government “kowtowing to China”. October 19 – The Roman Catholic Church beatifies Pope Paul VI. October 31 – Burkina Faso President Blaise Compaoré resigns after widespread protests in response to the attempt in abolishing presidential term limits. November 2 – The Intergovernmental Panel on Climate Change (IPCC) releases the final part of its Fifth Assessment Report, warning that the world faces “severe, pervasive and irreversible” damage from global emissions of CO2. November 12 – The Rosetta spacecraft‘s Philae probe successfully lands on Comet 67P, the first time in history that a spacecraft has landed on such an object. December 17 – U.S. President Barack Obama announces the resumption of normal relations between the U.S. and Cuba. At least 120 people were treated at hospital and a state of emergency was declared in the city of Napa, after California was shaken by a 6.0 magnitude earthquake. Local officials had to set up a triage tent at the Queen of the Valley Medical Center in Napa to handle the influx of the people injured in the earthquake, AP reports. According to hospital’s CEO Walt Mickens, most of the injured had cuts, bumps and bruises. Three people were also admitted with broken bones, and two for heart attacks. 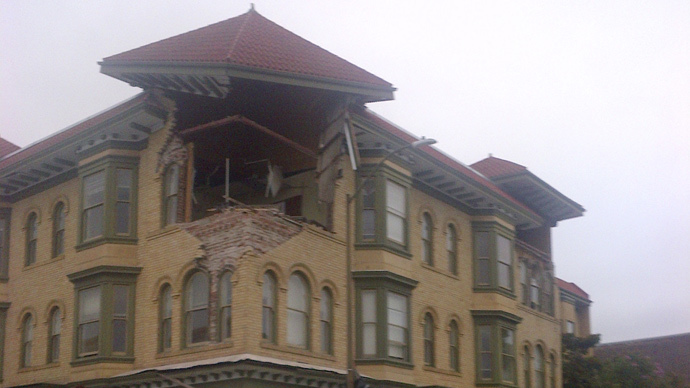 The 6.0 quake struck at 3:20 am (10:20 GMT), the US Geological Survey said. Its epicenter was 6 kilometers from American Canyon and 9 kilometers from the city of Napa, at a depth of 10.8 kilometers from the surface. Residents of the cities of San Francisco, some 40 miles away, and Davis, just over 70 miles away, quickly took to Twitter reporting feeling the quake.